The Hayne royal commission has recommended the establishment of a new oversight authority that will aim to assess the effectiveness of both the corporate and prudential regulator. Commissioner Kenneth Hayne called for the new oversight authority for APRA and ASIC to be independent of government, and should be established by legislation to assess the effectiveness of each regulator in discharging its functions and meeting its statutory objects. “The authority should be comprised of three part-time members and staffed by a permanent secretariat,” he said. • require the authority to produce or commission quadrennial capability reviews of each entity. Mr Hayne said it remains to be determined which entity should assume responsibility for the additional oversight and assessment. 2. The effectiveness of individual regulators. However, Mr Hayne said he’s “not in favour of the CFR being charged with the second task”. “The CFR serves as an important, formal occasion for discussion between the financial regulators. It is essentially a forum for co-ordination between the various regulators,” he said. 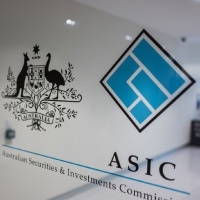 The government agreed with Mr Hayne’s recommendation, noting that an independent assessment of ASIC and APRA’s strategic performance against their overall mandate was lacking. “The government is committed to maintaining the independence of the financial system regulators. Accordingly, this body will not have the ability to direct, make, assess or comment on specific enforcement actions, regulatory decisions, complaints and like matters,” it said in response.